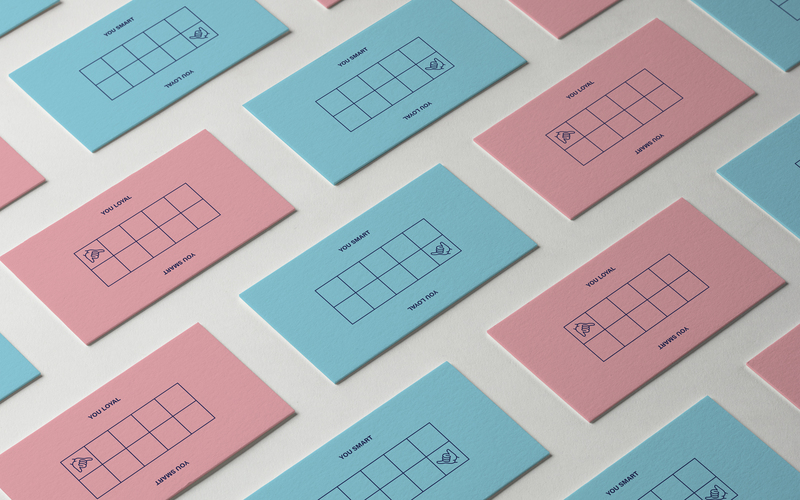 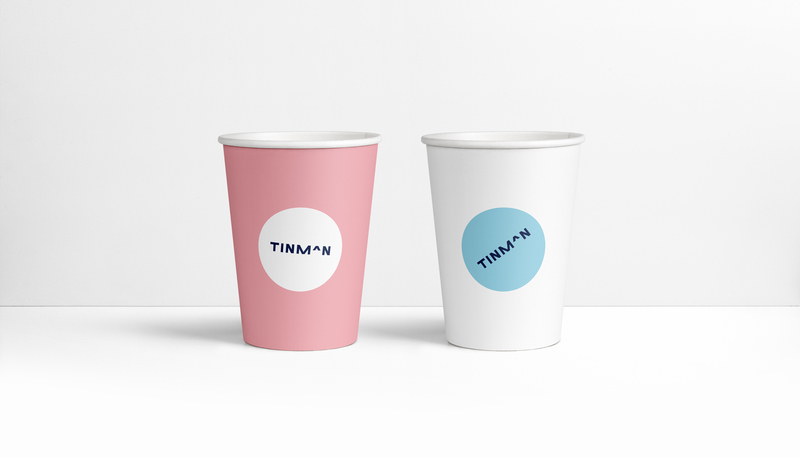 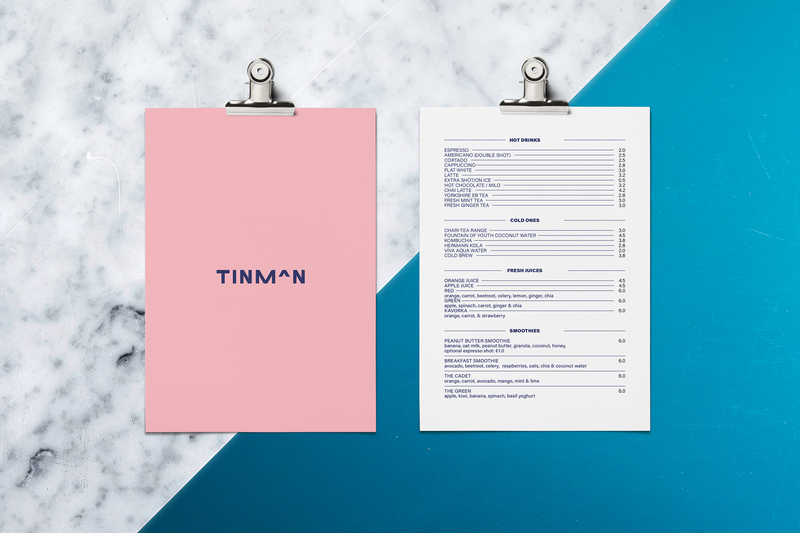 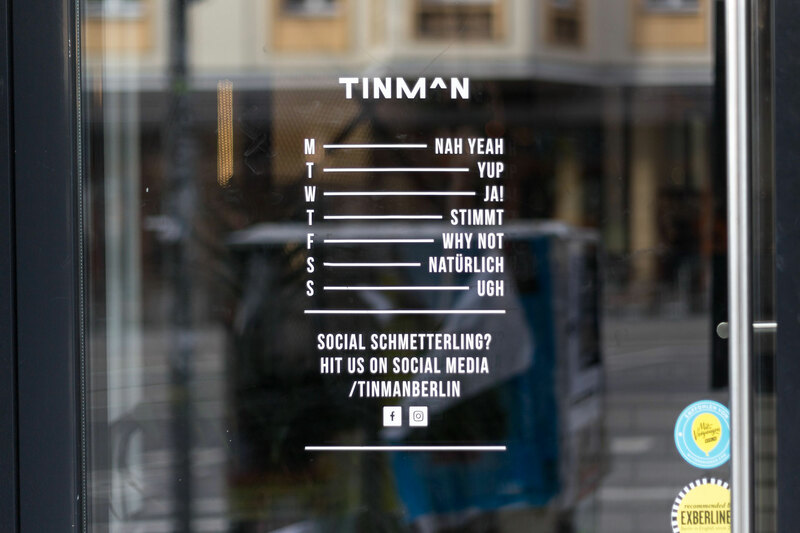 Justin and Harry wanted to create a fun, colourful brand identity for their cafe in Mitte, Berlin. 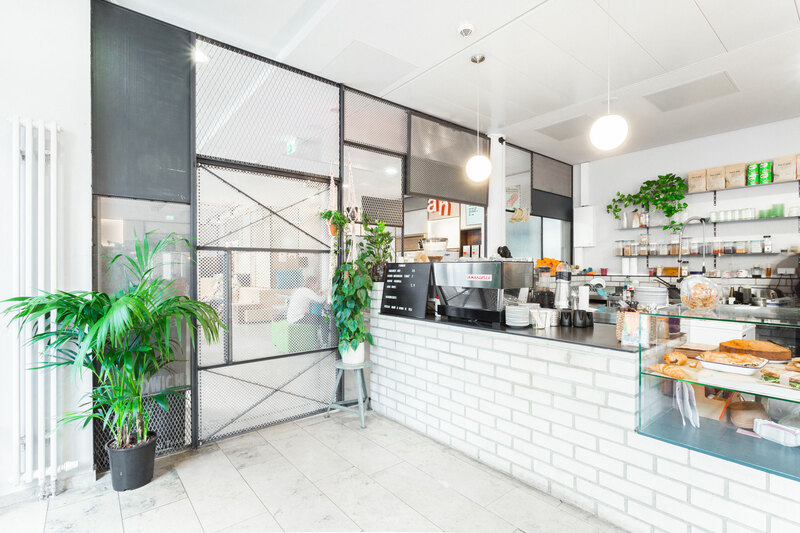 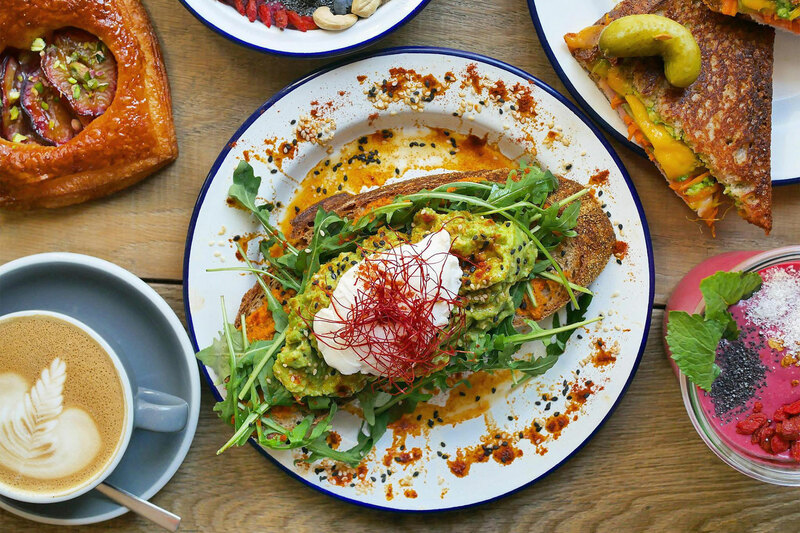 In collaboration with an interior architect, a bold, graphic colour palette was established to transform the dark corner cafe into a bright, friendly, approachable space. 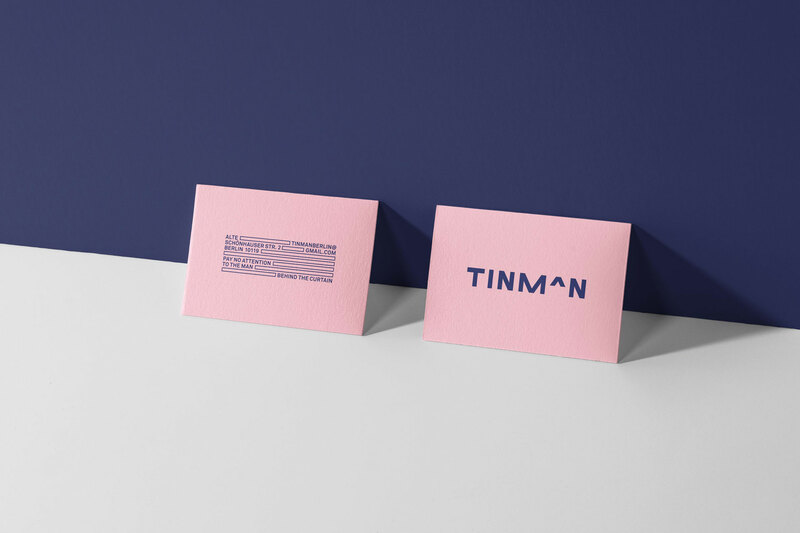 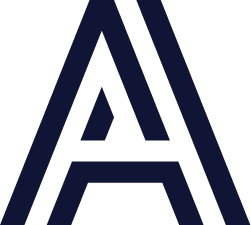 The logo was created from custom, geometric letterforms to contrast the peculiar shape of the space. 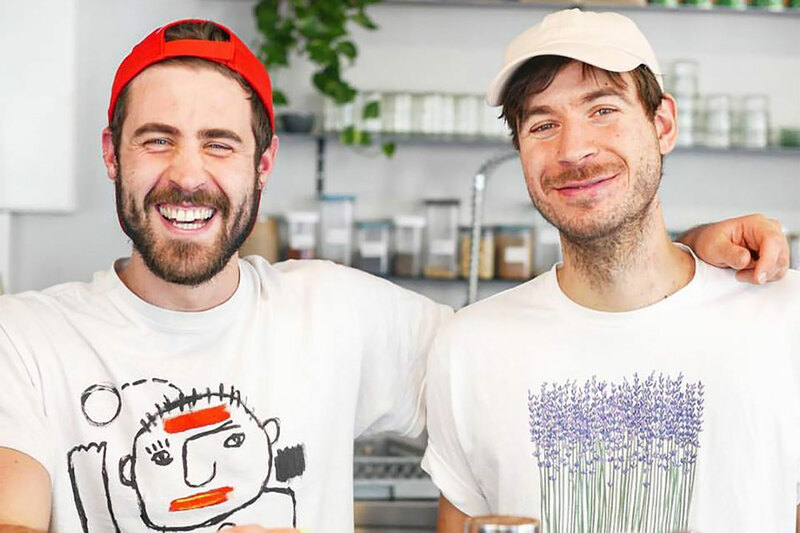 Playful wording both instore and online help to compliment their fun and casual approach to their business.